I've been a bad blogger lately but a good reader! 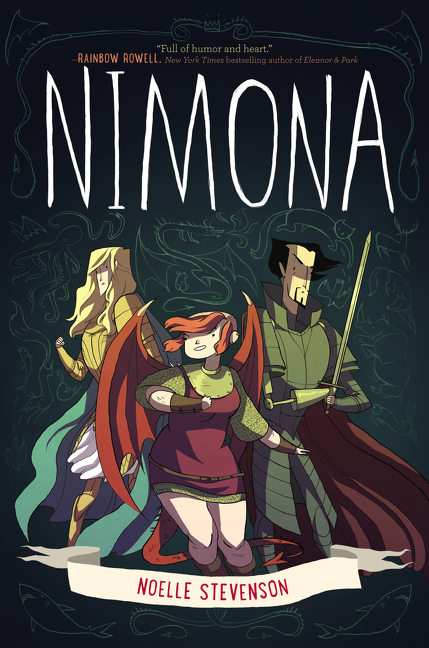 I have had so many stellar reads lately, starting with Nimona by Noelle Stevenson. Ballister Blackheart is the local baddie, appointed by the Institution of Law Enforcement and Heroics. One day, young Nimona shows up at his lair, declaring herself to be his new sidekick. Where she is from and what she is up to is to be determined. What we know right from the start though is that she is truly exceptional. 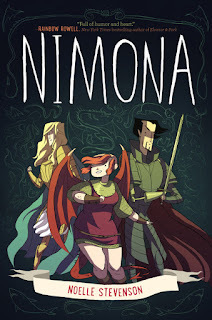 Nimona was originally a webcomic and this is the compilation. It's gotten rave reviews and all of them are well deserved. This is a story with complexity, heart, and humor. 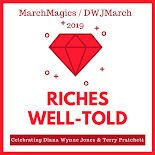 It goes in unexpected directions but, for a fantasy story, is incredibly well grounded in real human relations. It has diversity, ambiguity, and a unique style. If you haven't yet tried graphic novels or if you haven't found one that you loved yet, this might just be the one to get you hooked! Yayyyy! So glad you liked this! I read it as part of my resolution to read more webcomics in 2015 (this was before the book came out), and I loooved it. Way to go, Noelle Stevenson! Maybe I need a resolution to read at least one webcomic! I seem to miss out on all of them ... until they are in book form. I may end up being the last person on the planet to read this, but read it I will. So many people with such good taste can't possibly be wrong after all! I was certainly wary going in because a graphic novel has to be just right for me to love it. I like plenty of them but don't love many. This one, I would actually buy and read again!